Therefore™ Online is an information management solution, helping organizations work smarter by improving the storage, management, and processing of information, from the cloud. 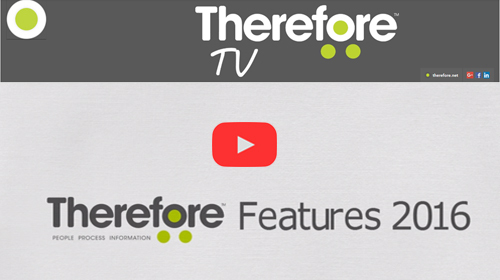 With a subscription to Therefore™ Online, organizations receive an all-inclusive solution, with no limits on the amount of users that can be added, unlimited Workflows, and support costs are included with the subscription. This cloud-based solution is suitable for organizations of any size that want to optimize how information flows throughout the organization, yet don't have the capital or expertise to maintain their own internal IT infrastructure. Easily capture your paper or electronic information for secure archiving. 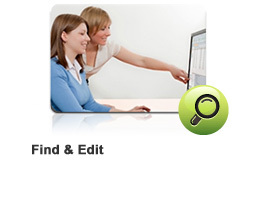 Easily search for information, and collaboratively edit documents. Transform your manual, paper-based business processes into automated, digital workflows. 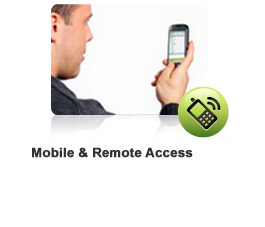 Remotely access all your information and participate in workflows directly from your mobile device. Therefore™ seamlessly integrates with many of your existing software and hardware systems. All of your information is securely stored and backed up, and user access permissions are highly customizable. Let’s free your organization of paper and enable your business processes to flow electronically. We offer a wide selection of tools to help capture, organize and manage your information. 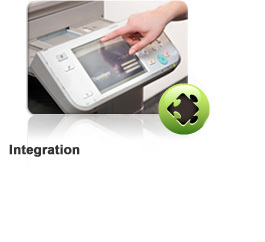 Paper documents can be scanned and recognized using the Therefore™ Capture Client. Even large batches of documents can be easily imported and indexed using barcodes or Zonal OCR recognition for automatically capturing index data. 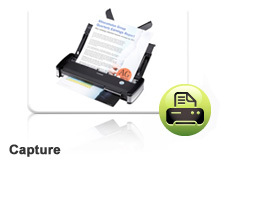 Perhaps you’d like to scan in your documents on an MFP and use the Therefore™ Capture Client to index and save them. No problem – simply save your scanned documents to a watched folder, where they will then be picked up and processed by the Therefore™ Capture Client. For more complex scanning needs, such as automatic recognition of document types or even invoice suppliers, we support integrations with advanced scanning solutions by IRIS. We also have a connector for Kofax Capture. Sit back, relax, and let Therefore™ take care of the work of classifying your documents! Securely storing business documents is vital to any company. Customer files, past HR documents, and even financial documents must all be kept for several years due to legal requirements. Physical storage not only uses valuable real estate, it also makes information retrieval very challenging. Necessary documents may be incorrectly filed, damaged, lost or incomplete. Therefore™ information management software enables documents to be digitally archived, securely stored and deleted once the legally mandated time period has expired. Documents can be scanned and automatically saved and indexed. Once the document has been entered into the system, it can be electronically sent to the correct employee for review and validation using the easy-to-install workflow module. The Therefore™ Navigator enables users to easily find information, either by performing a full text search similar to popular search engines, or by using specific index data associated with the document that is being sought. The Therefore™ Viewer is used to view, edit, and check in/out documents. Documents can be opened and edited in their familiar, native applications, making it easy for users to make revisions. Businesses can cut photocopying and storage costs and decrease errors related to manual indexing. 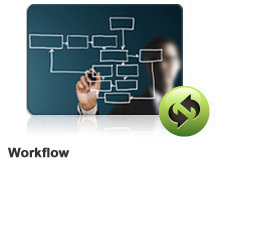 Therefore™ Workflow enables you to digitize your business processes. By moving away from a physical, paper-based process to an optimized electronic process, you can easily decrease the time needed to complete the process, increase accuracy, and improve the visibility, traceability as well as enhance customer service by proving faster, more accurate information. Workflows can be easily designed using our drag and drop user interface. No programming! Easily create parallel workflow paths, escalation routes, and exceptions. Customizable workflows allow you to integrate custom DLLs. Workflows can wait for multiple documents to arrive before proceeding. Workflows can be created on an individual document level, a case level, or a combination thereof. Mobility is becoming increasingly important in today’s workplace. No longer does a work environment consist of a fixed desk; a modern office may include an airport lounge, a car, home office or a customer site. Many businesses find themselves struggling to adapt their business processes to this new, on-the-go lifestyle. Salesmen may bring binders of folders with them, an inconvenient and heavy solution, or may rely on emails with attached documents which risks loss of data, security breaches, and creates numerous document versions which can be a hassle to sort out. By adopting an information management system, employees can access all their information whenever they need it, without compromising security. Therefore™ offers three methods of accessing your information remotely, helping to extend productivity when away from the office. Therefore™ Web Access enables remote access of the Therefore™ system via the most popular web browsers. The Therefore™ Mobile App (for iPhone® or iPad® mobile online devices, and Android™ devices) enables users to search and view documents, and participate in workflows, all from their mobile device. Therefore™ Anywhere allows users to take documents offline, and edit them when away from their network. Once reconnected, all changes are automatically synchronized to the system. No extra cost! Download for free! Together, these features help ensure that documents stored in Therefore™ are easily accessible and can easily work with your business processes. Therefore™ is easy to integrate with many other software solutions to increase the value of both products and make work processes more efficient. The key behind these useful integrations is the Therefore™ API, a powerful tool for expanding the functionality of the Therefore™ system and integrating it with third-party solutions. Therefore™ integrates with many different applications, programs, and solutions, including Windows® Explorer, Microsoft® Office, Microsoft® SharePoint, and many third-party scanning solutions, such as Kofax Capture®, eCopy™ ShareScan®, eCopy™ PDF Pro Office™, and uniFLOW. It also integrates with Windows desktop through Therefore™ Gadget, which can be used to monitor activity within the system, such as updates, workflows, and tasks. The Therefore™ Connector for SAP NetWeaver makes it possible to send data between the SAP and Therefore™ systems. The connector is based on ArchiveLink, and is certified by SAP. By using the Therefore™ system in conjunction with SAP, it’s possible to maximize the use of both systems, increase the visibility and accessibility of key business data, and ensure the long-term performance of your SAP system. The Therefore™ Connector for Microsoft Dynamics NAV 2013 expands the integration capabilities of your Therefore™ system. The connector enables parallel usage of both Therefore™ and Dynamics NAV, allowing you to enjoy the benefits of both systems. Therefore™ documents are incorporated in the Dynamics NAV data structure, just as Dynamics NAV documents are automatically saved in the Therefore™ archive. The Therefore™ Connector for Microsoft SharePoint was created to optimize and enhance existing SharePoint installations. With the connector, documents can be transferred from SharePoint to Therefore™, thereby reducing the load on the SharePoint database and increasing its performance. With the Therefore™ Universal Connector it’s possible to link many Windows-based business applications to the Therefore™ repository, making it easy to save and search for documents with just a few key presses. Integration with Microsoft Office is standard on all Therefore™ versions. Save documents and emails to Therefore™ from within Office applications such as Word, Excel, Outlook and more. Use Office templates to create new Therefore™ documents, or generate new Office documents using information sourced from Therefore™. By combining Therefore™ and PlanetPress, data from an ERP system is immediately captured by PlanetPress and a document (such as an invoice) is created and saved to Therefore™. The invoice is then automatically matched with the corresponding delivery note. The newly stored information can be made available to customers even from home by using the Therefore™ Portal. Starting in 2016, documents saved in Therefore™ can be sent for signing using a DocuSign® account either manually from the Therefore™ Viewer or automatically during a workflow process. The entire legal signing process is then handled by DocuSign®. Once completed, documents can be manually or automatically retrieved and saved back to Therefore™. Therefore™ software’s built-in integration with Microsoft® Power BI enhances the analytic capabilities of Therefore™ by providing a real-time, interactive dashboard of the company’s data that is simple to configure and use. Ensuring your information is secure is a core tenant of Therefore™ software. Therefore™ offers multiple features to ensure your information is always secure from unauthorized access, and correctly backed up and fully auditable. Electronic Signature: When documents are saved to Therefore™, it's signed with a digital signature which is verified every time the document is retrieved to ensure its authenticity. Documents are moved to primary & backup storage – they are never kept in the database. 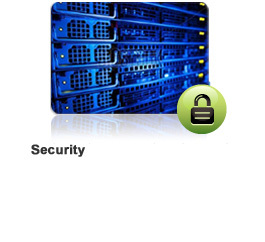 Configuration of storage devices and storage policies is easy and quick. Migration schedules can be defined to move documents to devices. Security extends beyond the office. With our mobile app and web access, employees can continue to access their business documents and process their workflows in complete security, without the need to save paper documents locally or save them outside the network. Therefore™ Audit trail provides a complete report on all actions preformed, such as saving or deleting documents and processing workflows. And, it’s also possible to create detailed reports on workflows to further analyze work habits. Therefore™ securely stores documents and offers complete control over document access. Permission settings are easily configurable and highly customizable, ensuring that only authorized persons are given access to view and/or modify specific documents. Additional security features include audit trails, version control, digital signatures, and retention policy compliance.